If meatballs with tomato sauce aren’t the fun weeknight night answer to 36 hours of chilly and constant rain, I don’t know what is. Not that I’m complaining; aside from how desperately the rainfall is needed here, it’s easily the best cooking weather one can ask for. And while I love a slow-cooked pasta sauce on a wintry day like nobody’s business, it is Monday after all. An aside before the recipe: as ‘Italian’ as this dish looks to me at a glance, it’s best to classify it as American Italian, and speaking to my personal experience either Jersey Italian or possibly Little Italy Italian, not at all scoffing at but rather acknowledging the various interpretations of favorite Italian foods. I cook often from the Epicurious bookazine Italy, (a second printing of which is by popular demand on newsstands now) and the quote by Gabriele Corcos, a Tuscan native who contributed to the publication, grabs my attention every time. He says, Our pasta dishes are simple and light. I haven’t found the courage to eat spaghetti and meatballs. On Tuscan tables, meatballs come with roasted potatoes and sautéed greens. And interestingly, the one meatball recipe in the entire Epicurious Italy book is from another region (Campania) and is also sauceless. Still, as much fun as it is to authentically replicate certain dishes, Italian ones especially, I have to say I am fine adding tomato sauce to meatballs. Plus, breaking the rules in cooking is all the more satisfying when you have an actual semblance of the rules, which I admittedly rarely do. That said, I started to call this recipe Italian Turkey Meatballs and couldn’t quite bring myself to put it in a headline. Thanks to the fresh herbs and garlic though, these would be delicious in their own right as the anchor of a well rounded meal, per Mr. Corcos’ sentiment. 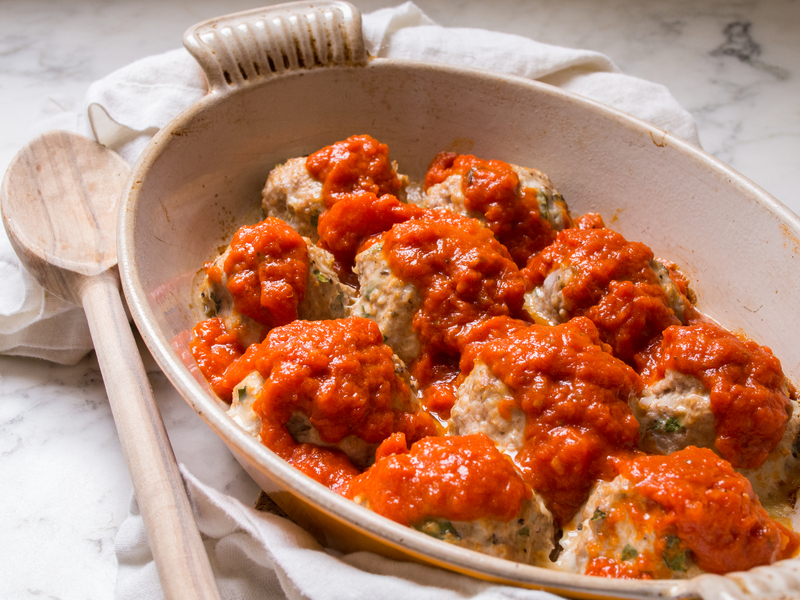 I love these because in addition to being delicious, meatballs with tomato sauce are just fun. And they don’t have to be heavy. These are light, quick to make and great for a weeknight. I thought they would be particularly fun for the Monday night of Christmas week, but then again I seem to invent food-related occasions pretty easily! Excluding the olive oil, gently mix all ingredients together until evenly incorporated. Drizzle the baking dish with olive oil to prevent sticking. Using the ice cream scooper or a spoon, form evenly sized meatballs and arrange in the baking dish with uniform space around each. 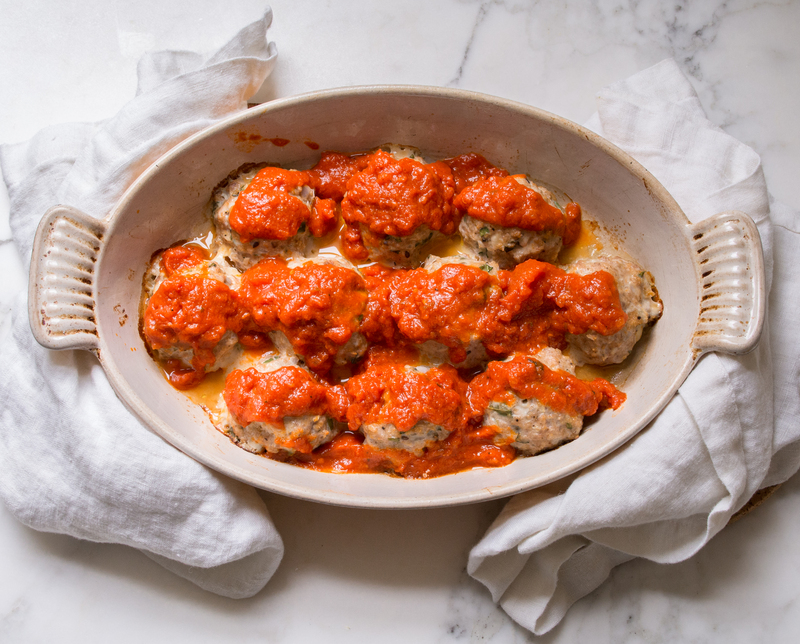 If you like, serve with extra tomato sauce – I always do! 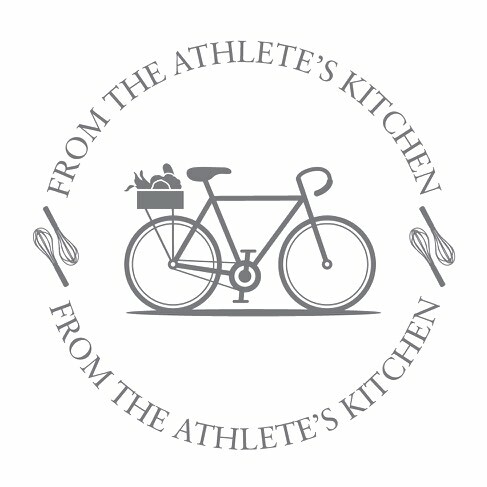 My dad always makes meatballs, but I would love for him (or myself) to make them healthier! This sounds like a great recipe! I’m so glad you like the sound of it – it is a great alternative and so easy. Please let me know what you think if you have time to try it!